When we got back into town after our last run, we had a surprise waiting on our back porch from my brother. He made me a tall urn-like vase (photo coming in a future post), and he made Ed the motorcycle helmet in the photo above. We were very excited to get one of his pieces. 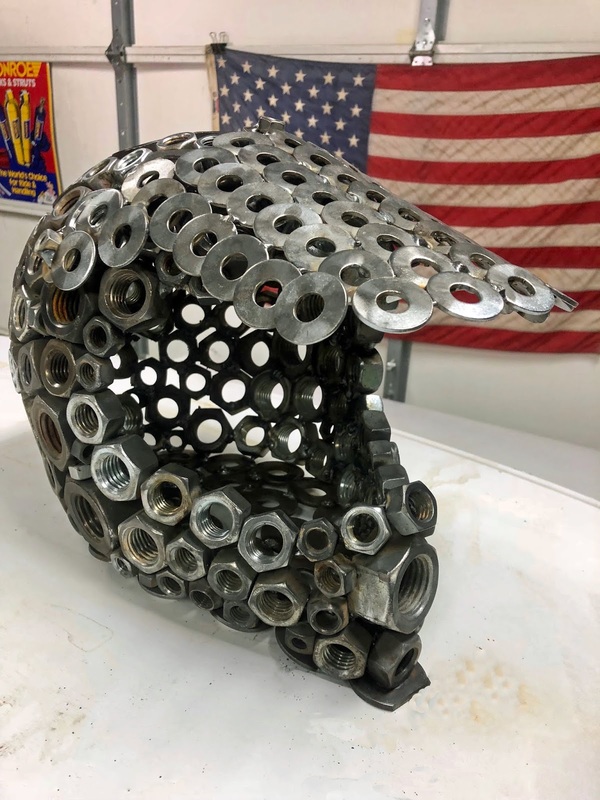 He's made several nuts and bolts pieces over the years. A few years ago he made this for our photographer friend. And he recently made this turtle for my mother. This is one of my favorites. Once I have a place for it, I'm going to ask him to give it to me. Let me know if you're interested in a custom piece. I have connections.